Recently named as the least-stressed city in America, Alameda County’s Fremont is now being lauded as one of the nation’s most family-friendly communities. 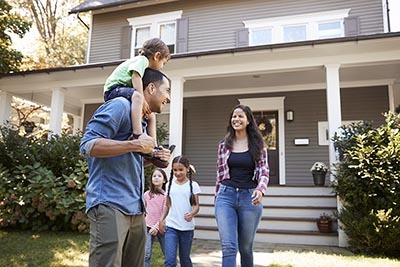 That’s according to an analysis by WalletHub, which ranks the best cities in the U.S. in the for raising a family on 100-point scale based on five major gauges: fun, health and safety, education and child care, affordability, and socioeconomic factors. By the study’s criteria, Fremont ranks No. 3 in the country for family friendliness, with a score of 70.71. The Alameda County city places No. 1 in America in both the health and safety and socioeconomic categories and has the nation’s lowest divorce rate and the fewest number of residents living in poverty. San Jose was the other Bay Area city to rank among the nation’s 20 best for families, coming in at No. 16 with a 63.32. Like Fremont, San Jose has one of the country’s lowest divorce rates. San Francisco doesn’t show up on the list until No. 36 but earns mentions for its large number of family attractions. However, the city unsurprisingly falls at the bottom for housing affordability and has one of the lowest percentages of families with young children in the U.S.
Nationwide, home-flipping returns dropped to an almost four-year low in the most recently completed quarter, but there are still some pockets in the Bay Area where investors can turn larger profits than the U.S. average. ATTOM Data Solutions’ latest U.S. Home Flipping Report says that flippers netted an average gross return of 44.3 percent ($65,520) since the time of purchase in the second quarter, the lowest since the third quarter of 2014. Company Senior Vice President Daren Blomquist attributes the diminishing returns to both a shortage of distressed properties on the market and rising interest rates squeezing out more potential buyers of flipped homes. Investors hoping to get the best bang for their flipping dollar in the high-priced Bay Area would do well to focus on certain ZIP codes in the East Bay. Homes flipped in Oakland‘s 94603 ZIP code received an average return on investment of 69.3 percent ($213,950), while flippers in the city’s 94605 ZIP code profited by 68.7 percent ($285,000). In Contra Costa County, flippers in ZIP codes in Richmond and El Sobrante netted returns of about 55 percent, while those in San Pablo profited by nearly 50 percent. Mortgage rates ticked up last week, with the latest U.S. jobs report suggesting that the Federal Reserve will raise interest rates twice more in 2018, pushing more prospective home buyers out of the market. The latest numbers from Freddie Mac put 30-year, fixed rate mortgages at 4.54 percent for the week ended Sept. 6, up on both a weekly and annual basis. In a statement accompanying the report, company Chief Economist Sam Khater said that borrowing costs are on the rise due to the strong U.S. economy, noting that home price growth continues to outpace wage growth, further eroding affordability. Khater’s thoughts echo a new analysis of the August U.S. employment report by Pacific Union Chief Economist Selma Hepp, which predicts that the robust job market will prompt the Fed to increase interest rates two more times this year. Hepp expects that 30-year, fixed-rate mortgages will not rise above 4.7 percent by the end of 2018.